Historic restoration is more a labor-of-love than any other type of building construction. The builder must follow guidelines from historic preservation commissions to ensure authenticity and structural integrity. Building materials must accurately represent the period of the structure and its neighborhood. But, preservationists recognize that buildings in historic neighborhoods are virtually irreplaceable and worth the added effort and attention. Michael Mihos Construction has been restoring and preserving historic buildings in San Diego’s Gaslamp Quarter since he opened his business in 1982. 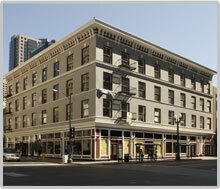 Mihos was actively involved in the 80s transformation of the Gaslamp Quarter from sleazy eyesore to urban success story. His early renovations created a catalyst for others to continue in the Gaslamp’s restoration and earned him the name, the Building Doctor. Michael Mihos Construction completely restored the Colonel Fletcher Skylofts, originally known as the Colonel Fletcher Building. 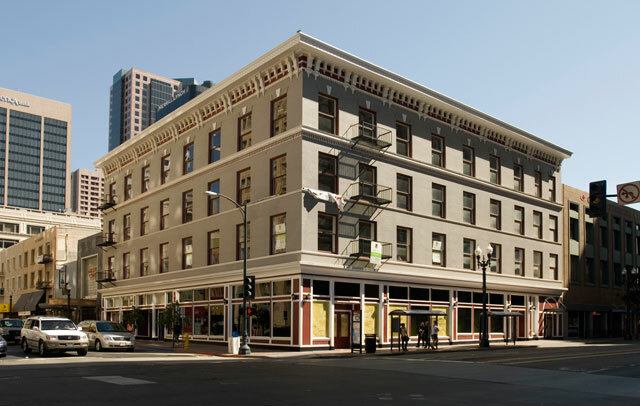 The four-story historic building in downtown San Diego was redeveloped as 24 luxury loft, office/condominiums on the upper floors, over 7,500 square feet of premium retail spaces and subterranean residential parking. The interior featured 13’ ceilings, exposed brick walls, antique hardwood floors and oversized operable windows. Mihos restored the Fletcher Skylofts’ exterior to its original Italian Renaissance glory with dramatic cornices spanning the south and west façades. Now, this historic mixed-use building is a gem in the Gaslamp Quarter’ crown.